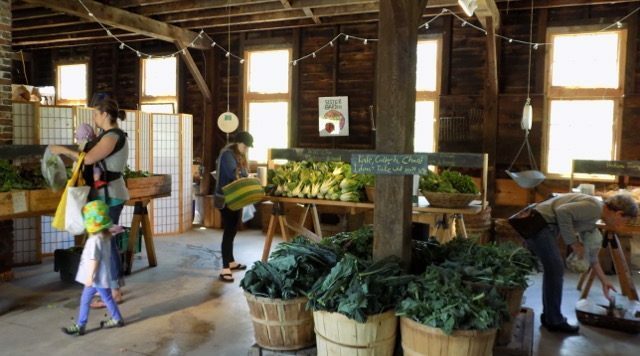 Recent NewsHome » Recent News » Featured · Food Access · Garden » The Giving Garden’s amazing 2016 season! 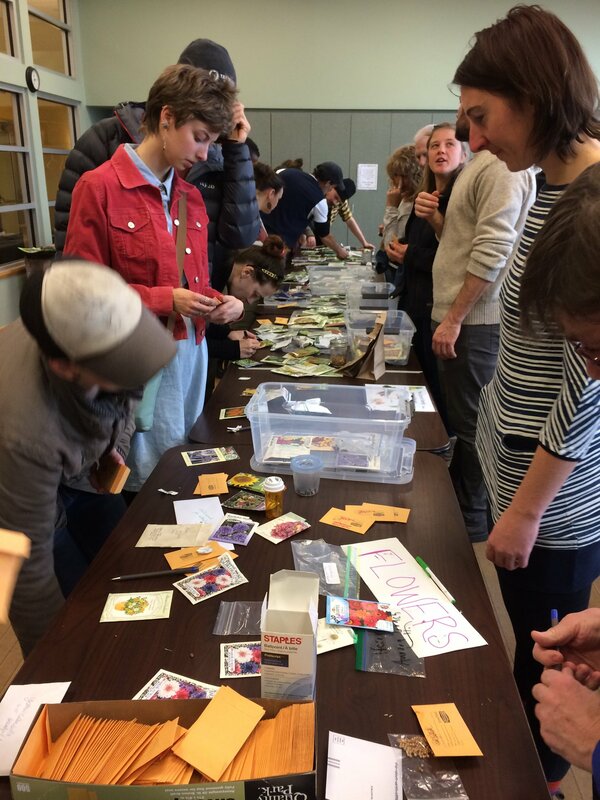 The Giving Garden’s amazing 2016 season! It is mid-October and as the days get shorter and the leaves change color, we take the opportunity to reflect on the bounty of this harvest season. 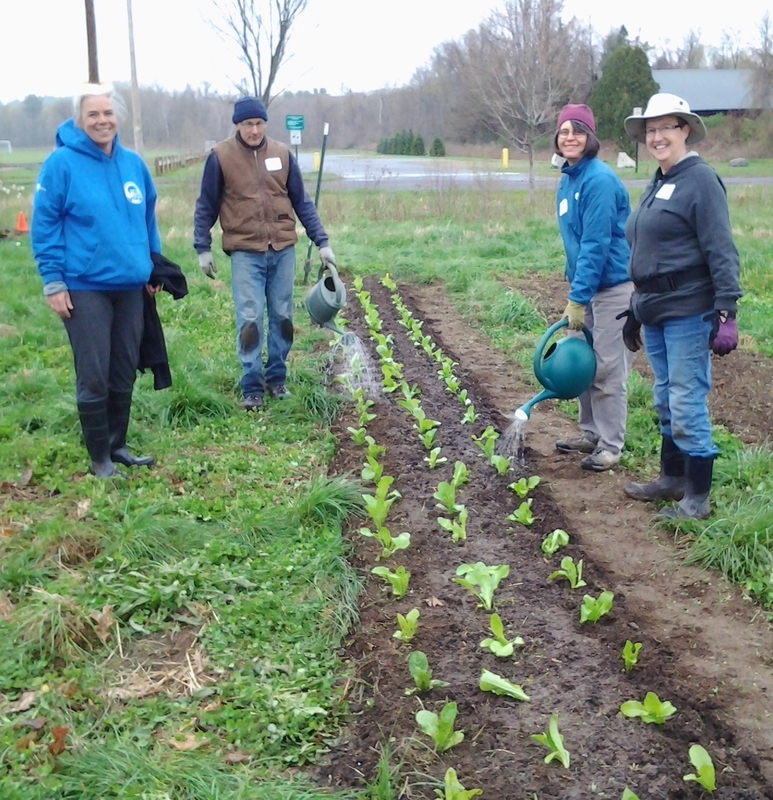 Here at Grow Food Northampton, we are wrapping up the 2016 year at our Giving Garden, which produces sustainably-grown vegetables for donation to local meal sites and food pantries. Carla Shafer manages production and Pat James manages distribution, and much of the work of planting, tending, harvesting, and delivering produce was accomplished by 66 wonderful community gardeners and other volunteers, plus summer interns and work-study students (Danielle, Rachel, Kate, Jillian, Sophie, and Sarina) and our Tuesday Market Assistant, Erica. Most of the half acre is now planted in cover crops and ready for next spring, and we are pleased to report that so far, we have donated over 6,500 pounds of vegetables from the Giving Garden in 2016! 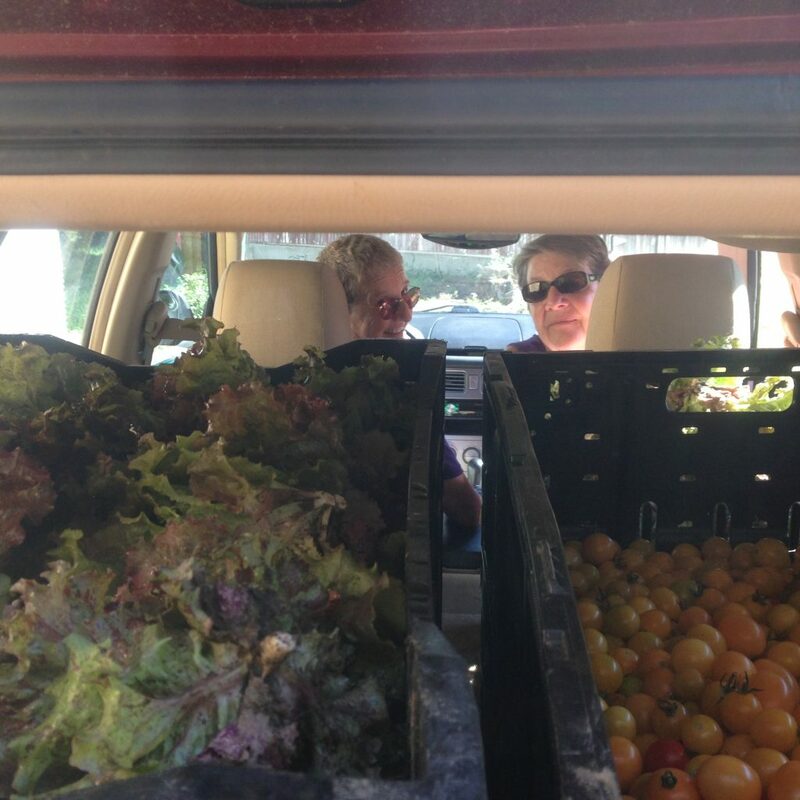 That is three and a quarter tons of fresh, local produce going to local people! 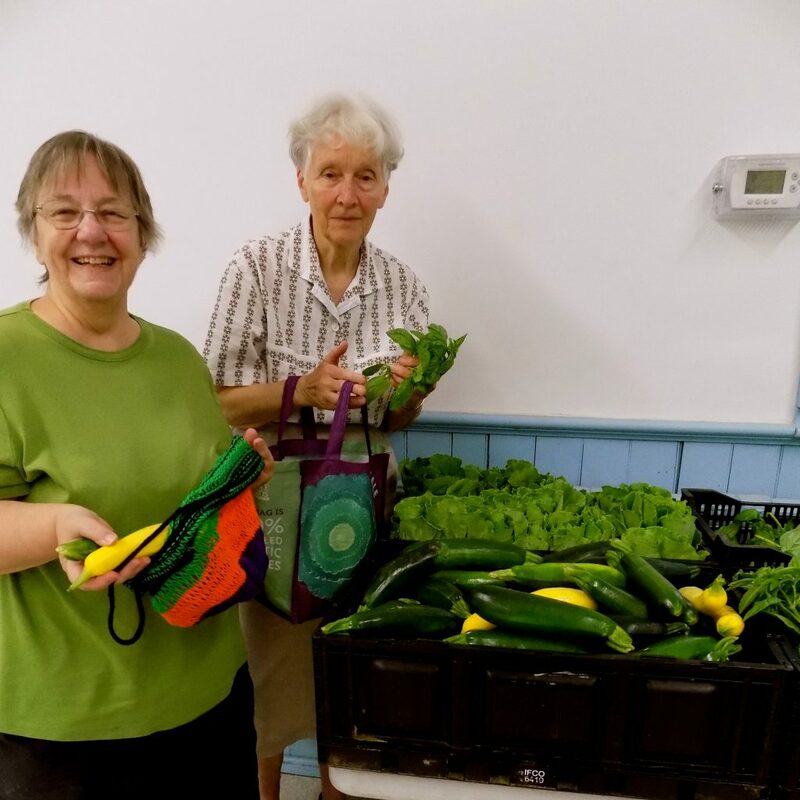 This food was distributed to five different locations: the Saint Elizabeth Anne Seaton Parish and MANNA soup kitchens, the Northampton Survival Center, the Easthampton Community Center, and Star Light Center. And we were thrilled to put into service our new mobile cooler, a heavily insulated cargo trailer modified to use an air conditioner to keep produce at optimal temperatures. This investment made it possible to harvest one day and deliver the next, a necessary improvement as the scale of the Giving Garden operation increased. We are so grateful to our volunteers for giving over 450 hours of their time! Grow Food Northampton is about people as much as it is about food, and we highly value our volunteers and their hard work. To learn more about volunteering with us, visit our volunteer page. 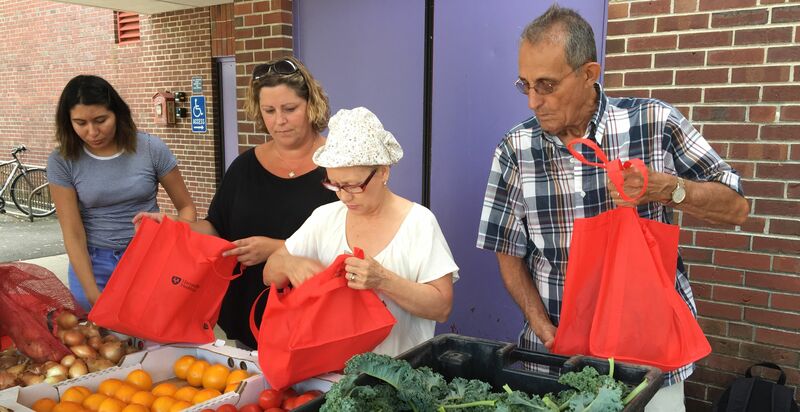 We are also grateful to our donors who support our food access work, and to Harvard Pilgrim Health Care Foundation, whose 3-year grant supports the Giving Garden and all of our food access programs. Our new cooler in action! 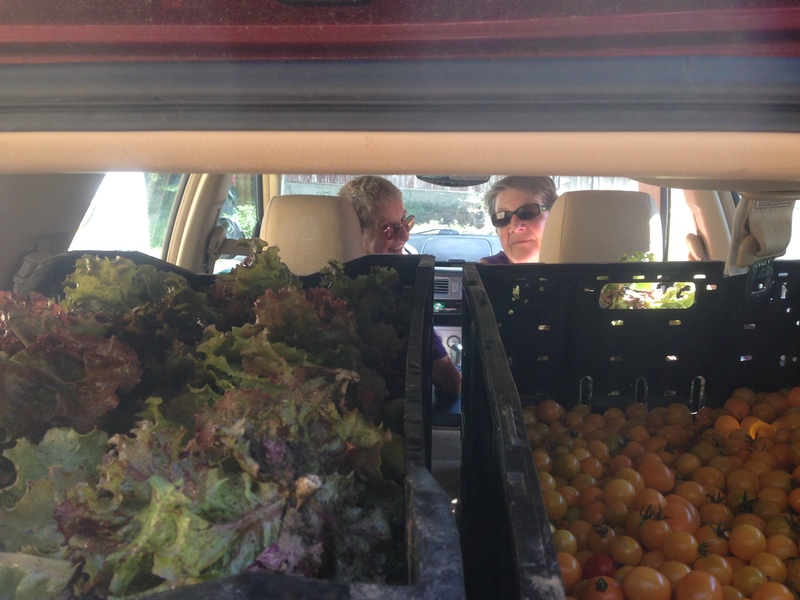 Vegetables loaded and ready to be delivered! 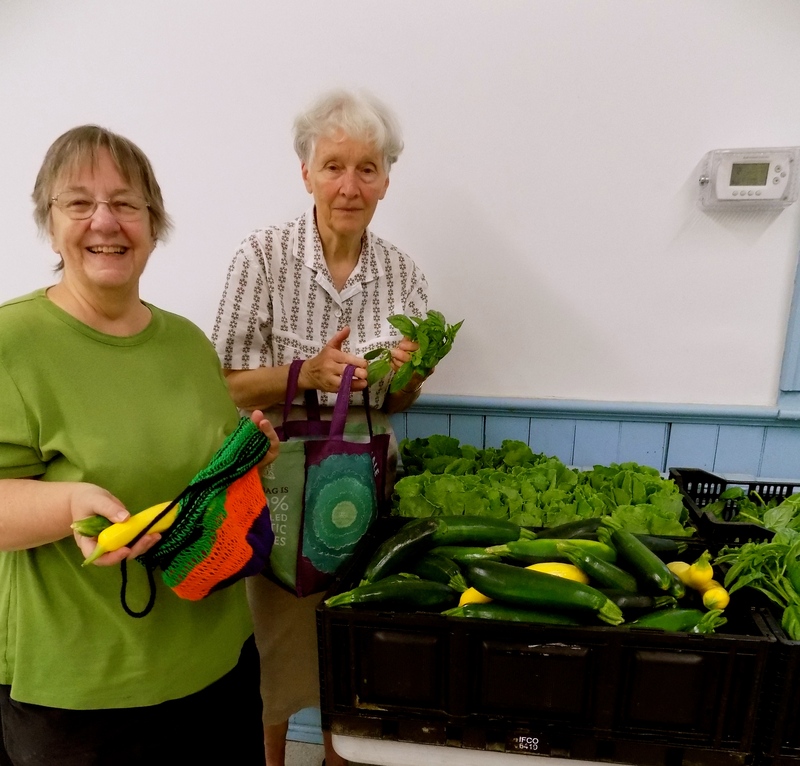 Giving Garden produce being distributed at Easthampton Community Center.